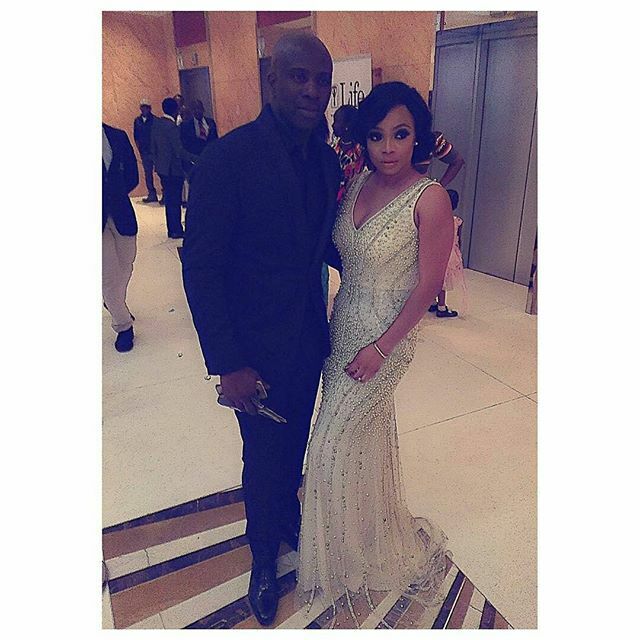 Unlabelled Toke Makinwa and Maje Ayida Not Back Together After All???? Wheeeeeeeeeeeewww! Toke Makinwa and Maje Ayida Not Back Together After All???? Wheeeeeeeeeeeewww! Firstly, they did not arrive at the 'Future Awards' together...hun hun, Maje Ayida arrived moments before Toke Makinwa, he was already on the red carpet when Toke arrived Intercontinental hotel. She alighted from her vehicle, took the elevator & stepped unto the red carpet but she made certain she did not go towards the other side of the red carpet where Maje Ayida was. Of course, Toke Makinwa became the centre of attraction...and somehow Maje Ayida managed to move over from his side of the red carpet to where Toke was. KFB had eyes on them :) !!!!!! He said 'hi' and she was like 'hey'...along side that fake smile you give to someone you really don't want to talk to. She now started adjusting her gown, more like ignoring him 'with style'. But Maje was sha attaching himself and hanging around. Well, the camera men immediately seized the moment and asked them to strike a pose. Poor Toke, she had no choice....and voila, the viral photo! Immediately after the photo was taken..so many shots from the many camera men on the red carpet....Toke Makinwa 'sharp-erly' moved on.